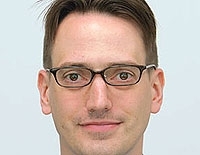 Hans Greimel is Asia editor of Automotive News. TOKYO -- California’s New United Motor Manufacturing Inc. is once again Toyota Motor Corp.’s laboratory for experimenting with American manufacturing. More than two decades ago, a wary Toyota turned to the joint venture with what was then the world’s automotive leader, General Motors, to test whether it could build cars to Toyota standards with American workers and suppliers. Today, Toyota has usurped GM’s crown. Now it sees NUMMI as a petri dish to test something equally important: What the new world’s No. 1 -- itself suffering from big-company disease -- can learn from the nimble, fast-acting, entrepreneurial style of an ambitious American startup. Call it NUMMI, Part 2. Toyota President Akio Toyoda made no secret of his desire to soak up some secrets from developing electric vehicles with Tesla Motors Inc. at NUMMI. And he means it. The push to reform his troubled carmaker following its recent recall crisis calls for speeding up decision-making and handing more authority to individuals in the field. And here’s hope that the streamlining spirit is already catching on: Toyota’s decision to invest $50 million in Tesla and cooperate on electric-vehicle production was the product of a whirlwind courtship that started just one month ago.